Ross Mutrux is the owner and head mechanic. He has been a mechanic for, well, forever. While working for a local dealership as a mechanic, he decided he wanted to start a business focused on customer service and truly connecting with the customer. Ross focuses on having a friendly smile and a concerning ear for every customer. Ross has been voted and nominated for Best Of Columbia Mechanic. 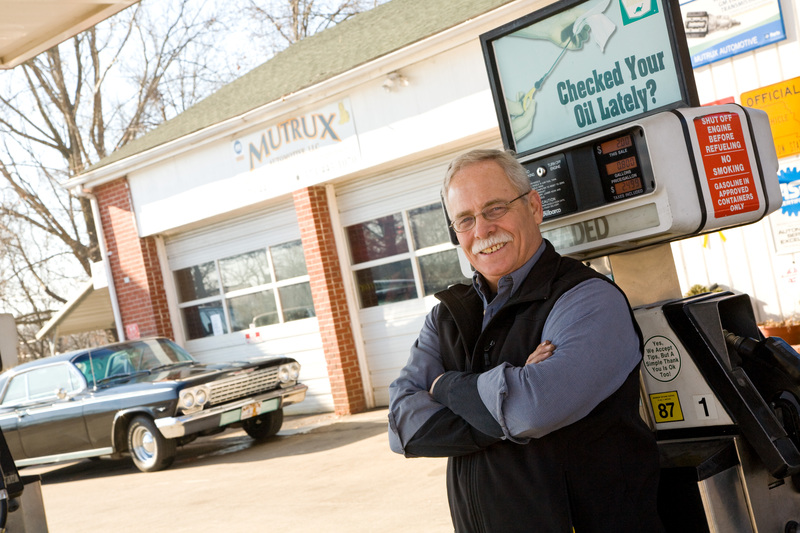 We, Mutrux Automotive, are your Family Friendly Neighborhood Full Service Station. We are community involved and committed to service. We are the ONLY full service fuel station in Columbia, Missouri. We pump your gas and provide quality and affordable automotive repairs.